Seriously. I’m asking. Is p2plending dying? Returns have sucked the last couple of years for all investors, but especially us retail investors since the 2015 and 2016 vintages have performed so poorly. 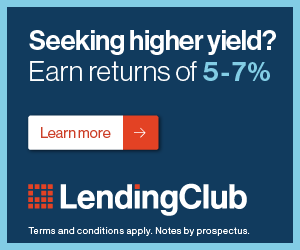 My own returns are 400-500 basis points lower than my returns on my 2013 and 2014 vintage loans were and I know some … Read moreIs P2PLending Dying? How Much Should I Invest in Peer to Peer Lending? How much should I invest in peer to peer lending? I get this question every week and like many investment related questions, the answer is it depends. Remember, everyone’s financial situation is different and I’m not a financial advisor….. While the real answer is it depends, there are some things you should look for when … Read moreHow Much Should I Invest in Peer to Peer Lending? Madden v Midland Funding Some of you may have heard about this case and that it may/might/could/is already affecting marketplace lenders. Miss Madden had a Bank of America credit card and defaulted on her payments. Midland Funding is a debt buyer and collection agency based in San Diego. Midland bought the debt of Miss Madden, … Read moreShould Retail Investors Care About Madden v Midland Funding case?